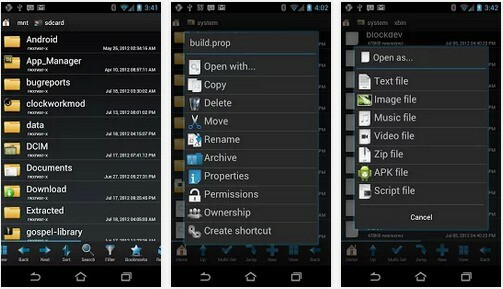 All those who are having android smartphones are having default file managers on their phones but they lack in certain features such as they may not having capacity of ZIP extraction, signing and combining all cloud storages to single pane, etc. So, as per our requirement and also new features we reviewed 4 different file managers which are absolutely perfect for any use. ES App Group developed an advance and very simple user interfaced file manager that comes with lots of features that are not available on any stock file managers. ES File Explorer is an enhanced cloud storage client with more functions than the official versions, it can save photos, videos, and other files to your internet drives and share them with others. (Supports Dropbox, Box.net, Sugarsync, Google Drive, SkyDrive, Amazon S3, Yandex and more. So, as per mentioned above you will get nearly all features that you are hunting in any browser will be satisfied by ES File Explorer. As per the name says root, this Root Explorer is best fit for Root users where you may access whole of android file system. 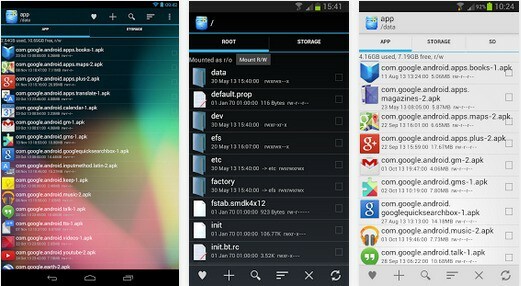 After using ES File Explorer and Root Explorer, Root Browser is the next file manager that is used mostly. Although above options in choosing file manager are available, there is another sleek-simple in GUI file browser is available to download knowns as “PowerGrasp File Manager” where this is mostly used by those people who are having lots of ZIPs/RAR/or any other packages and also want to edit them too but at another side this lacks many of the features that are available on other file managers available. From this 4 options, you may choose your file manager based on your requirement and install it. In testing of various file managers including these, we found ES File Explorer the better and very convenient file manager as it includes most if the features.